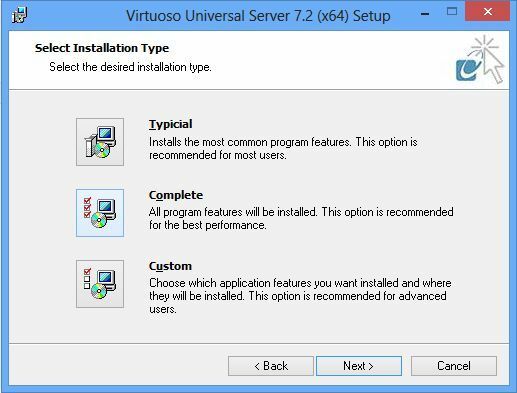 Make a backup of your existing Virtuoso Database and Configuration files (defaults are virtuoso.db and virtuoso.ini) prior to performing the steps that follow. 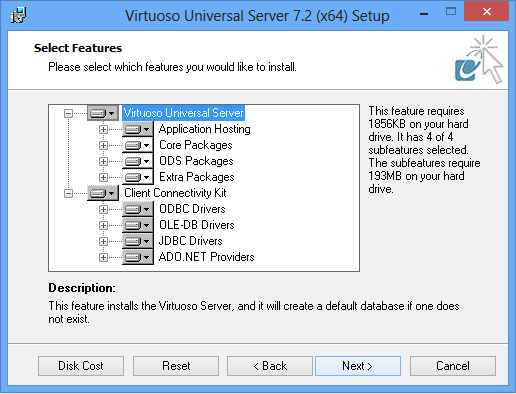 Note: Virtuoso's online backup feature, if enabled, should have already generated a backup-set. 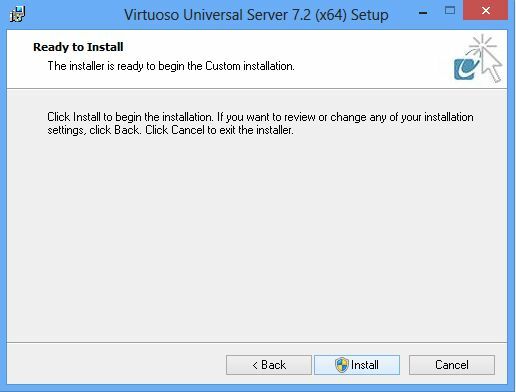 Use the Add/Remove Programs utility to uninstall any previously installed Virtuoso components. Data and configuration files will be left behind by this process. 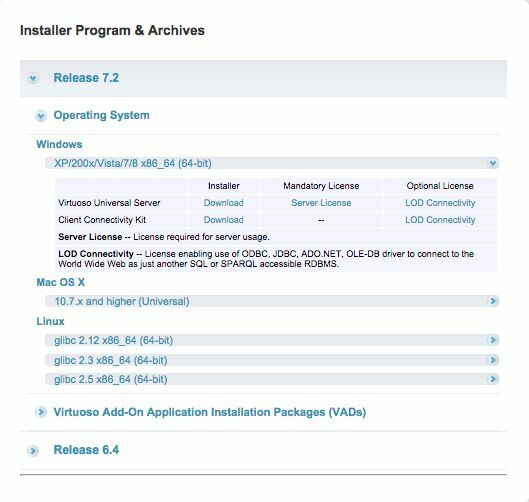 Download the Virtuoso 7.2 installer archive (wavpz2zz.msi) from the download site. 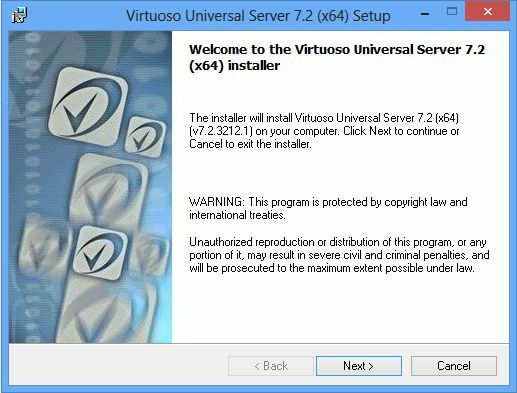 Note: Virtuoso 7.x is 64-bit only, and requires Vista or Windows Server 2003, or later. 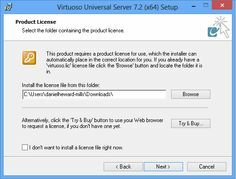 Fill out the relevant form, and download the license file when presented. Note -- the file must be named virtuoso.lic for use. Some browsers may rename the file during download; you can simply rename the file on your machine. 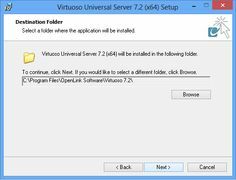 Double-click the installer archive, wavpz2zz.msi, to start the process with the Installer Program Introduction. Click install, and wait for notification of completion. 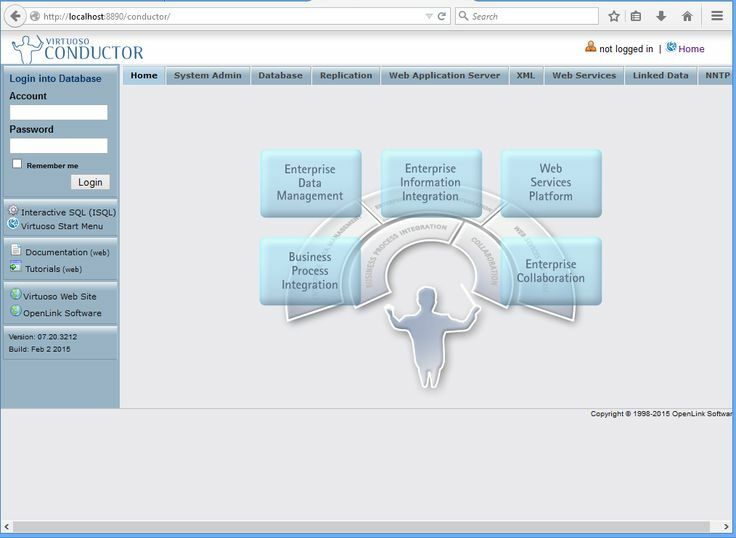 Launch the Virtuoso Service Manager from your Start menu. 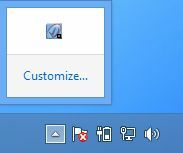 Look for an icon to appear in the Task Bar at the bottom right of your screen. 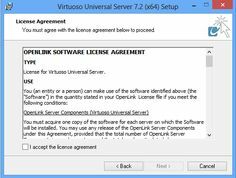 Right-click on the Virtuoso Service Manager icon in the Task Bar, and click on OpenLink Virtuoso Server - Start. Open the Virtuoso Conductor, Virtuoso's HTTP-based administration tool, by loading this URL in your Web Browser: http://localhost:8890/conductor .